Gout is known as a man’s disease, because it occurs 5 to 7 times more often than in women. Gout strikes an estimate of 2.2 million Americans each year. It is the most common form of inflammatory arthritis in men over the age of 40. This disease is caused by an abnormality in the body’s metabolism of uric acid. Uric acid levels are normally below 7 milligrams per deciliter of blood. 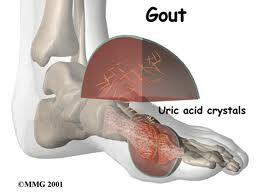 The higher the uric acid level, the more it is likely to be an attack of gout. Men with levels above 9mg/dl have a 2.2% chance of developing gout. This disease may also develop by a rapid drop in uric acid levels which is why up to 30% of men with gout have normal uric acid levels at the time of the attack. An attack of gout usually occurs when excess uric acid is deposited in a joint. The uric acid forms crystals which irritate the joint lining. The most common symptom of this medical condition is severe, acute pain in the joint. Gout is uncommon in the upper body, but it can strike wrists, fingers or elbows. Gout attacks often occur at night. Within hours, the joint becomes painful, swollen, red, or hot. The pain tenderness can be so severe that even the touch of a blanket or a sheet can be excruciating. Even though only one small joint is involved, the inflammation can be intense enough to cause muscle aches, fever and other flu-like symptoms. If gout is not treated, uric acid crystals will continue to accumulate in huge levels, leading to long term arthritis with chronic swelling and permanent joint damage. Uric acid crystals may also be deposited in the kidneys, forming kidney stones. Gout is treated very well with nonsteroidal antiflammatory drugs such as Indomethacin (indocin) with a dose of 50mg, 3-4 times per day. 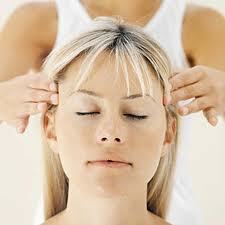 In the next several days, when the condition improves, the dose can be reduced by half. Treatment usually continues for about a week. People with a history of peptic ulcers, gastritis, or advanced kidney disease cannot take NSAID (nonsteroidal anti-inflammatory drugs). In this situation, men are given steroid drugs, such as Prednisone. Men with the gout disease should follow a low-fat, moderate protein diet. Alcohol must be cut and weight loss may help men who are overweight. A high fluid intake is important to help prevent uric acid kidney stones. Cutting down on such food as meat, seafood, yeast, beer and other alcohol beverages will decrease the formation of uric acid. 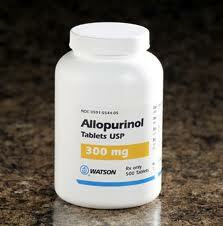 Medication that reduces uric acid production is called Allopurinol (Zyloprim). 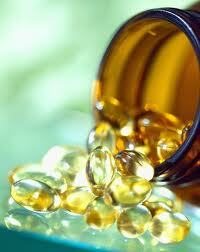 It is the only treatment for men with chronic gout, arthritis or uric acid kidney stones. This entry was filed under Mens' Health.